The principal objectives of this fellowship are social and our usual activity is to gather several times a year to enjoy ourselves! More details of our "objectives" are contained in our Constitution. Each Zone is run by an elected committee which organises gatherings or "musters" which generally involve a 3,4 or 5 day stay, usually at a town having interesting features of historical, scenic, cultural or vocational nature. Several musters are held by each zone every year. Most musters are attended by members of the organizing zone, but inter-zone visits are encouraged and the emphasis is on fellowship, socializing and the enjoyment of the company of others with like interests. Occasionally musters are of a different form - depending on the whim of the drover and the specific interests of the Zone - this might involve a 4WD driving weekend in the "high country", or a "tag-along" tour through a scenic area. 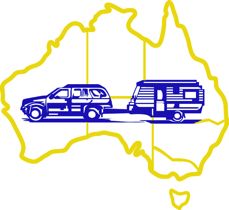 Once a year there is a National muster to which all zones are invited, this is usually held in a different State each year and includes the national AGM. A copy of the National newsletter appears elsewhere in this website and this gives a better view of our activities.